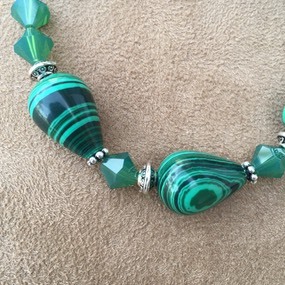 Teardrop shape Malachite gemstones with green SWAROVSKI crystals. 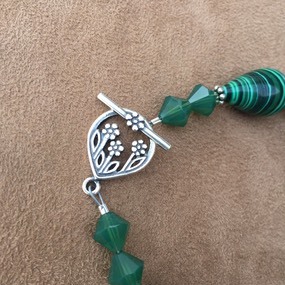 The Toggle clasp has a sweet flower design. Pewter components. Length is 8-1/2". 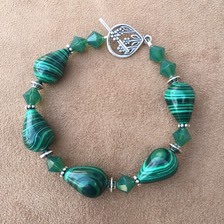 Widest part of the malachite gemstones is 1/2”.